Managing a serious illness is never easy. We understand, and we take every measure to ensure the ultimate comfort of you and your loved ones. 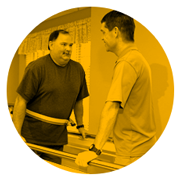 Masonic Homes Kentucky offers a personalized supplement to your physician’s care and pain management program that combines palliative care and skilled nursing services. 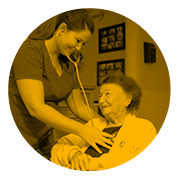 Unlike Hospice care, our services are available to those with dementia, cancer, pain management and other end-of-life illnesses regardless of life expectancy. If you, your family and your physician determine palliative care is appropriate, our staff completes an assessment to define your needs and special requests, and to customize your experience. The same caregivers, nurses and staff physician that have been serving you and your family are joined by our specially trained nurses, chaplain and volunteers to ensure you have the extra care, comfort and guidance throughout your transition when you need it most.